Weimer, Maryellen (2010). 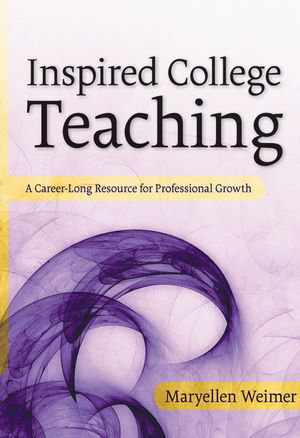 Inspired College Teaching: A Career-Long Resource for Professional Growth. San Francisco: Jossey-Bass. Instructional vitality is the central message of Maryellen Weimer’s Inspired College Teaching: A Career-Long Resource for Professional Growth. For Weimer, teachers must maintain instructional wellness, just as they would their own human health. Throughout the book, Weimer explains the ideas, activities, incidences, and experiences that can sustain and improve the instructional vitality of one’s classroom. According to Weimer, sustaining and improving instructional vitality requires us to focus more on learning and less on teaching. How do we make this statement reality? The examples abound. Weimer refers to the power that formative feedback has in changing negative conceptions of one’s self as a teacher and one’s students, ultimately creating a more positive instructional setting for both. She remarks on the criticality of reflection as a means to abandon the ways of one’s teaching mentor in order to find one’s own instructional identity. She also discusses the important role that each student plays as a collaborator in the design of one’s teaching environments and learning experiences. 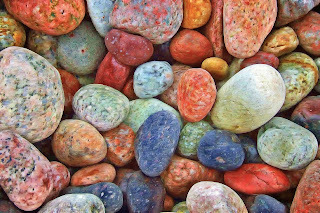 Simple suggestions with profound consequences, Weimer’s insights offer assurance that once one overcomes instances of weakness and vulnerability, the result is a strengthened and renewed teaching professional.